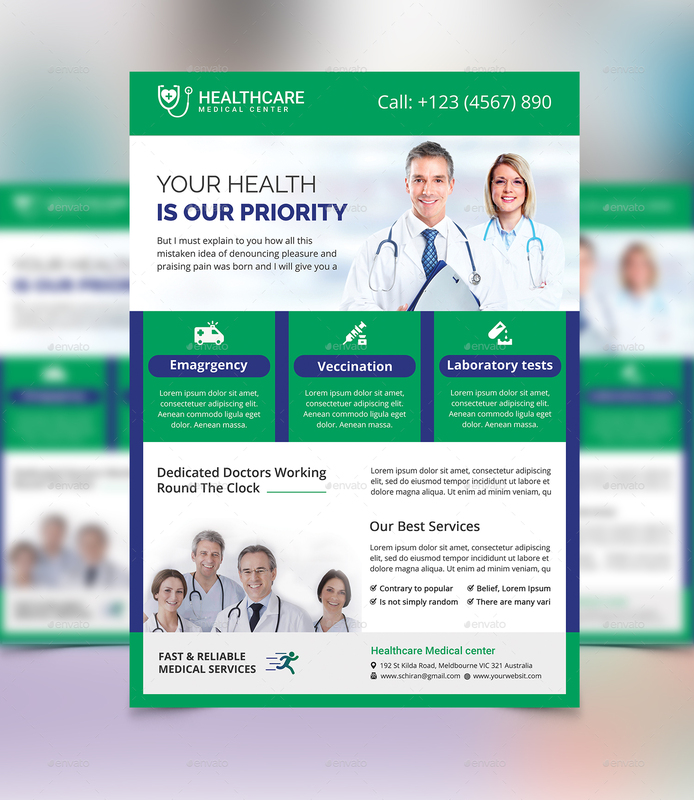 A highly versatile and clean healthcare flyer suitable for all medical related business. It can be used in anyBusinesslikemedicine, doctor, health, health care, dentist, etc. Everything is customizable, with text and color being very easy to change. well organized proper name groups. Very easy to edit, very easy to insert images, very easy to change the text. Image placeholders are smart objects to make easy for you to add image And edit file.